Home / What is this Pink Slime in My Bathroom? As a professional cleaner I see it all the time. It hides in the corners, on the shower curtains and even in the toilet. It’s gross and in my top 5 enemies. What is this gross stuff and what am I doing wrong? Well that pink slime is called Serratia Marcescens. Serratia Marcescens is an airborne bacterium that loves moist areas like toilets, sinks, tile, bath tubs and even your pets water bowl. It grows from feces and soap scum. Since our pink enemy is air born it will appear more when we leave our windows open. Can Serratia Marcescens be harmful? It can be to some people. Serratia has been known to be pathogenic and cause pneumonia, wound infections and urinary tract infections. What can we do to stop Serratia Marcescens? First, you need to make sure you have proper ventilation in your bathroom. 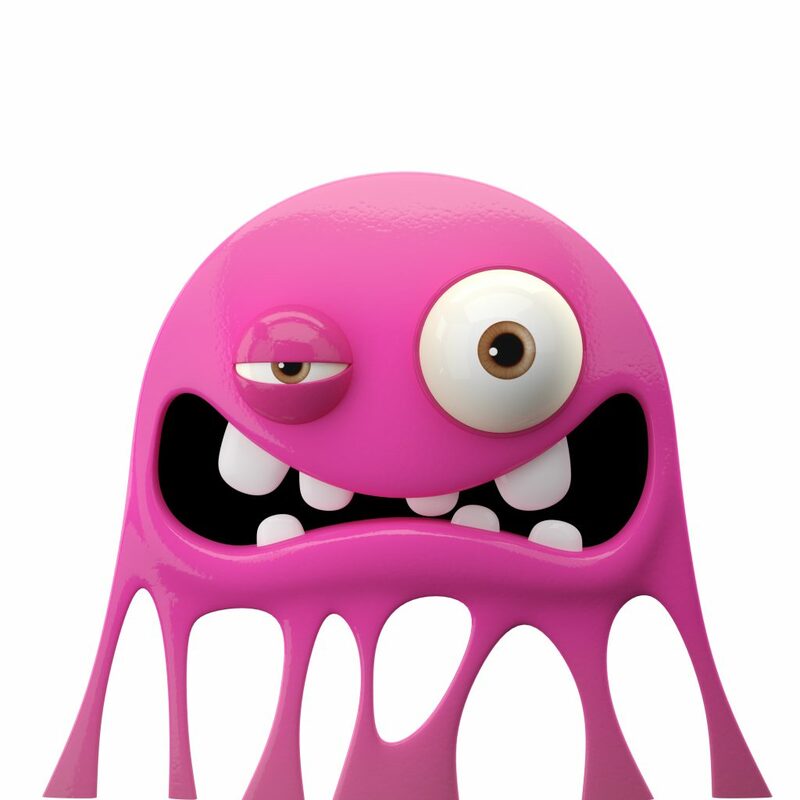 Our pink enemy loves moisture and if it doesn’t have moisture it won’t stay. Most people don’t run the ventilation fans in their bathroom long enough. After showering, use a squeegee or an after-shower spray, such as Methods Daily Shower Cleaner. What if it’s already in my bathroom. You can use an anti-bacteria spray or 1 cup vinegar, 1 cup water mixture and let it set about 10 minutes on the bacteria. Then scrub and wipe clean. If it reappears remember you have a moisture and soap scum problem.